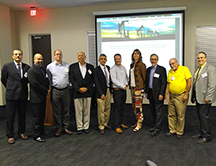 In May, AnTech was invited to present at the American Association of Petroleum Geologist's (AAPG) latest workshop. 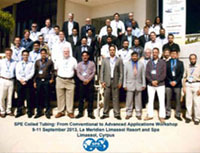 The event titled New Thinking and Value Propositions in Exploration and Production was hugely successful and attracted a variety of individuals from different . 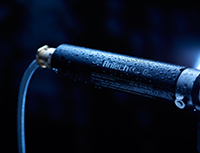 . .
AnTech has responded to industry demand, with the launch of three new products within its best-in-class Wellhead Outlet range. The Type C Wellhead Outlet, which was designed and developed by the company for use in hazardous environments, has been on the market since 2013 . . .
AnTech is pleased to announce that it has won Small Business of the Year in the 2016 Express and Echo Business Awards. 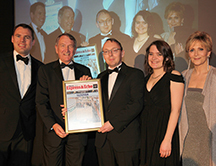 Now in its sixth year, the business awards recognise the most successful companies and individuals in the Exeter area. Back in March, AnTech was shortlisted in the Small Business . . . The recent fall in oil price has forced operators to re-evaluate the economic viability of their reserves. Oil in the ground generates no revenue. 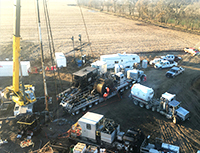 Drilling wells and producing reservoirs profitably in a sub-$40/bbl market is one of the most significant challenges the industry has face in many years . . . There is no doubt that current oil prices are presenting a difficult challenge to the industry and stretching people's creativity when thinking of solutions. Slashing costs, which means people and equipment, makes for more dramatic headlines but simple efficiency gains also have their part to play . . . 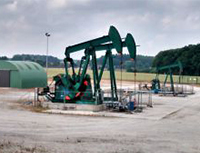 In today's world of weaker oil prices and declining production output of oil and gas reserves, operators are re-examining their reservoir management efforts. Globally, operators are facing the challenges of optimising the performance of not only new wells but also existing reserves . 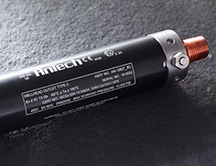 . .
AnTech has responded to industry demand, with the launch of three new products within its multi-million dollar Wellhead Outlet (WHO) range. The Type-C Wellhead Outlet, which was designed and developed by the company for us in hazardous environments, has been on the market . . . 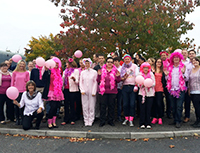 Suppliers and customers noticed something different about the AnTech team last Friday as they wore pink to support 'Wear It Pink' Day, a national campaign to raise funds for Breast Cancer Now. As well as wearing a whole spectrum of pink shades, the AnTech team also held a pink raffle . 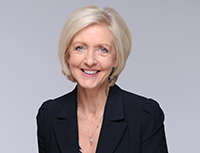 . .
AnTech is pleased to announce the appointment of Jan Ward CBE, as the new Chair of the company's Board of Directors. The announcement comes as AnTech continues to strengthen its position on an international basis, with the recent announcement of record product sales . 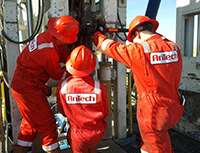 . .
AnTech, provider of specialist products and services for the upstream oil and gas industry, has reported record results across its product division, with overall sales up by 52% during the last financial year. As the industry continue to put safety at the forefront, the drive to ensure . 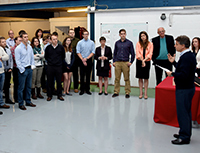 . .
For the first time, AnTech Ltd has held a day of celebration to recognise successes throughout the company. Last week, over 50 staff and guests gathered to celebrate over 115 years of long service, international patents and internal departmental achievements at the . . . .
AnTech Ltd, based in Exeter has been shortlisted in the Technology Innovation of the Year Category for the fifth annual Private Business Awards, sponsored by PWC, in association with HSBC and The Supper Club. 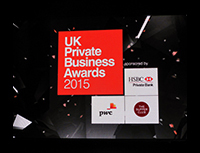 The awards recognise the most successful companies and individuals in the . 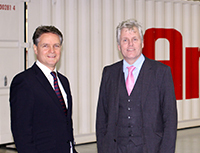 . .
Directional Coiled Tubing Drilling (DCTD) provider AnTech Ltd has announced the expansion of its UK premises in Exeter, UK. Due to recent and ongoing expansion, the firm has more than doubled its workshop and office footprint for its DCTD service division by over 9000 sq ft . . . 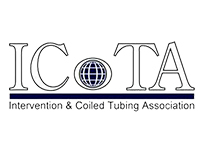 The annual conference, hosted by the Society of Petroleum Engineers (SPE) Aberdeen Section and the Intervention and Coiled Tubing Association (ICoTA) European Chapter, will take place on the 12th-13th November at the Aberdeen Exhibition and Conference Centre. The conference. 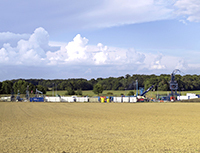 . .
UK firm AnTech Ltd has been appointed by Lundin Petroleum (Lundin) to carry out an Underbalanced Coiled Tubing Drilling (CTUBD) project to ensure maximum oil recovery from its assets in Europe. 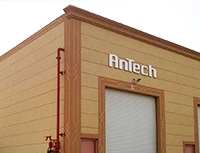 The program builds on a similar, successful project which was completed in 2007 . . .
Directional Coiled Tubing Drilling (DCTD) provider AnTech Ltd has announced it has appointed a Saudi agent and opened a new office in Al-Khobar, Saudi Arabia. 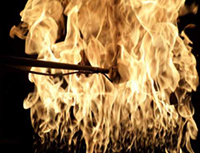 Having secured significant investment from Saudi Aramco Energy Ventures and Calculus Capital last year, the UK firm has . . . Operators are always looking for an economical and environmentally sensitive way to access mature oil fields. 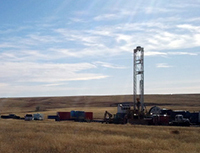 It is a continuing source of frustration for the industry, because the the two proven techniques for increasing reserve recovery; horizontal drilling and underbalanced drilling. 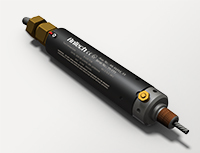 . .
AnTech has been working closely with an Australian company to provide a reliable, cost effective and safe Wellhead Outlet for use in unconventional coal bed methane well monitoring operations. A design has now been agreed and the order received that cements the two companys'. . . Heated to 950ºC for over 30 minutes, this Fibre Optic Wellhead Outlet is the first of its kind to qualify for the API 6FB standards! This world first will help customers meet increasing safety demands across the globe. This new Fibre Outlet can now be incorporates with AnTech's electrical outlets . . . .
AnTech's Managing Director, Toni Miszewski travelled to Limassol in Cyprus this September for a Society of Petroleum Engineers (SPE) Conference, where he presented at the Coiled Tubing Drilling From Conventional to Advanced Applications Workshop . 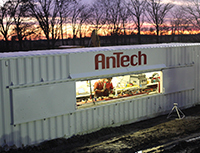 . .
AnTech has received funding from investors to launch its new Directional Coiled Tubing Drilling (CTD) Service capability. 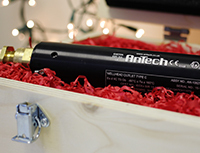 AnTech has its sights firmly set on providing Directional CTD Services with its field-proven drilling systems for operators seeking to access reserves in the unconventional, shale . 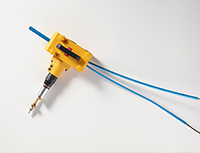 . .
AnTech's unique range of strippers and splitters remove encapsulation from a cable or control line quickly and safely. They make stripping and splitting cables much safer because there is no need for hacksaws or knives, preventing risk of any injury. In addition, they unique design . . .
We think video's are great, that's why we have a whole gallery and channel dedicated to them. 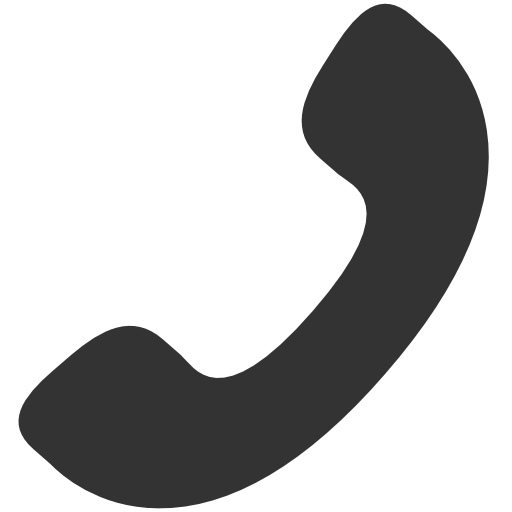 If you would like to find out more details about our company, please submit your request. We have designed this News Room to help interested parties find information regarding our most recent activity, videos and learn more about what is happening in the business. If you are interested in finding out more about our organisation, products and services we offer media packs upon request. Useful information to help you do your job in the hope of inspiring more people to actively take part and learn more about a fascinating industry. We've started a blog, head over to read about the latest industry and technology trends and our experiences.